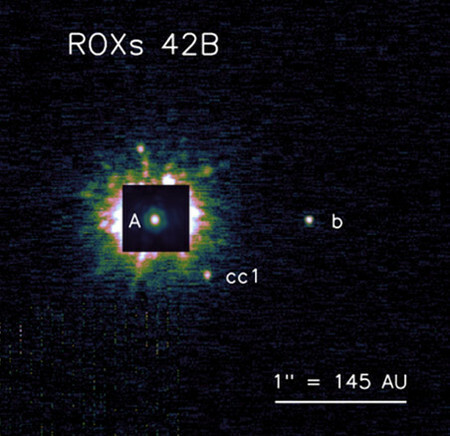 Image of the planetary-mass companion ROXs 42B b (right, labeled 'b') and its host star (left, labeled 'A'). 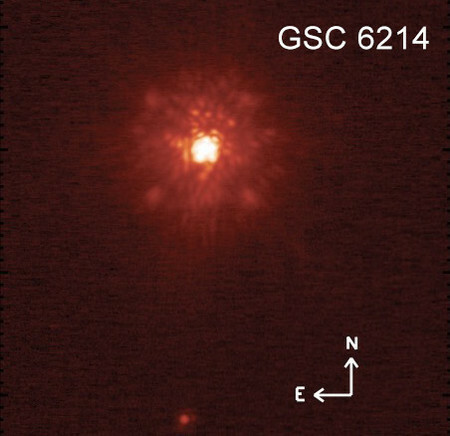 The study, titled, "Constraints on the Spin Evolution of Young Planetary-Mass Companions," was funded by NASA and the Sloan Research Fellowship Program. 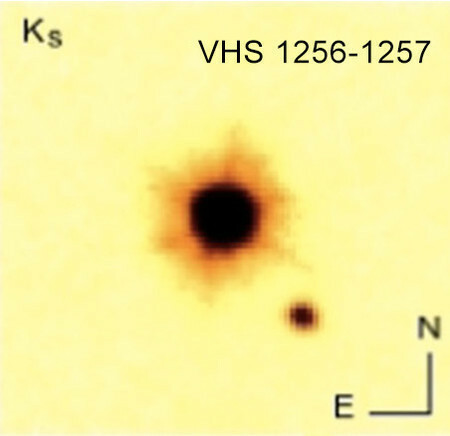 Other authors include Caltech's Konstantin Batygin (MS '10, PhD '12), assistant professor of planetary science and Van Nuys Page Scholar; Björn Benneke, formerly of Caltech and now of the Institute for research on exoplanets at the University of Montreal; and Brendan Bowler of the University of Texas at Austin.